RadioShack Corporation (NYSE:RSH) is surviving on life support for the last two decades and with its shares trading near $1, it might just be the beginning of the end of a complete era of electronics-store history. 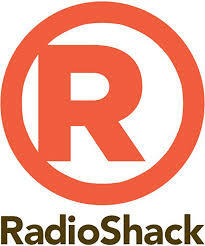 RadioShack Corporation (NYSE:RSH) reported its second quarter 2014 results with overall operating revenues of $673.8 million and the company announced a 20% drop in same-store sales. The net operating loss was $119.4 million for the second quarter against $51.1 million in the same period last year. At the same time, loss from continuing operations stood at $137.4 million compared to the loss of $51.4 million in the second quarter 2013. Earlier, RadioShack Corporation (NYSE:RSH) announced that it is running out of cash with $30.5 million as per the last report or $6,800 per store. The company is trying to do everything it can, which includes cost cutting and targeting stores located at prime locations. However, the investors do not have faith in the company and some are even suggesting safeguarding the existing inventory for a quick sell-off. There is some hope from a new financial rescue package of $585 million from UBS AG (VTX:UBSN) and Standard General LP, as it will help the company in restructuring its existing asset-based line-of-credit from GE Capital, capital unit of General Electric Company (NYSE:GE). UBS AG (VTX:UBSN) will arrange $325 million whereas Standard General LP is likely to contribute $260 million in the pckage. According to a latest report from Deutsche Bank AG (USA) (NYSE:DB), the end of RadioShack Corporation (NYSE:RSH) might boost the overall sales of Best Buy Co. Inc. (NYSE: BBY), as the troubled company is likely to have net sales amounting to $2.98 billion in 2014. Experts at Deutsche Bank AG (USA) (NYSE:DB) believe that a majority of these sales would go to Best Buy Co. Inc. (NYSE:BBY).